Since mid-July, I have been looking forward to the 4-day, 42km trek around the Inca Empire’s stomping grounds. Due to government restrictions, only 500 people are allowed to hike the “Classic Inca Trail” each day, and as a result tickets are sold out at least 2 months in advance. To be honest, I booked the trek before I booked my flight to South America or quit my job—it is that big of a deal. During the two weeks leading up to our trip to Cusco, the general response to “We’re hiking the Inca Trail to Machu Picchu” was, “Really? Oh man, it’s so hard. Good luck.” Needless to say, our confidence waned just a bit. 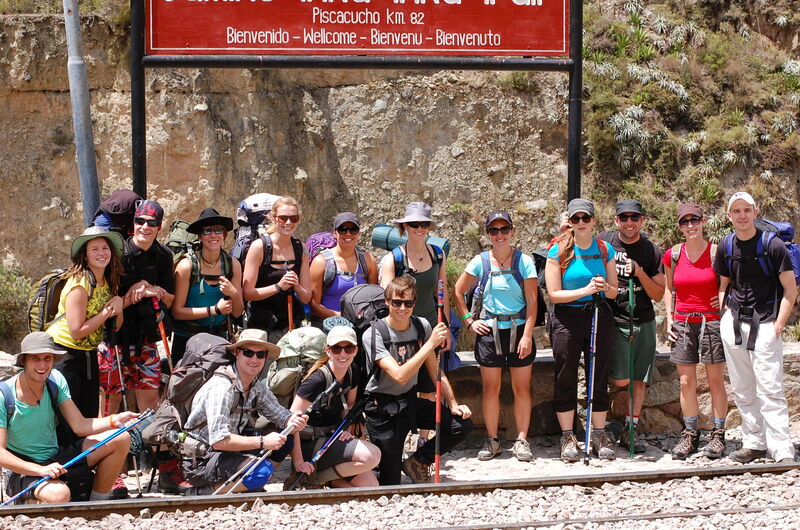 Our departure date of September 30th came just 6 days after the completion of our Colca Canyon trek, so while we felt that we had prepped as best we could, we were still scared for what was to come. However, once we hit the trail we found that the dynamic group of people from all over the world in combination with the unbelievable scenery created the greatest diversion imaginable. The hike was by no means easy, but it was almost as if your memory of the previous day’s physical exertion was erased each morning when you awoke to new misty skylines, ancient ruins, and waterfalls. I plan to allow the pictures to speak for themselves, but here is a snapshot of the four days. Day 1 – “The Warm-up Day.” 7 miles of moderate terrain. Lunch was served alongside turkeys, pigs, dogs, chickens, donkeys, and did I mention pigs? Because there were a lot of them. Spent the night in Wayllabamba. Day 2 – “The Hard Day.” A 1,200meter climb to Dead Woman’s Pass (4,200m). Ouch. Adam was the first to the top. Boom. Spent the night just underneath a waterfall in Pacamayo. Double boom. Day 3 – “The Memorable Day.” Up-and-down past ruins and valleys that we were unable to see due to the mist (although it added a sort of mystical feel to the whole thing). 90% original Inca Trail rocks. Several natural tunnels. Downpour during lunch which made us appreciate the mist. Found 4-leaf clovers. Had our last full amazing meal. Slept for a few hours in Winay Wayna. 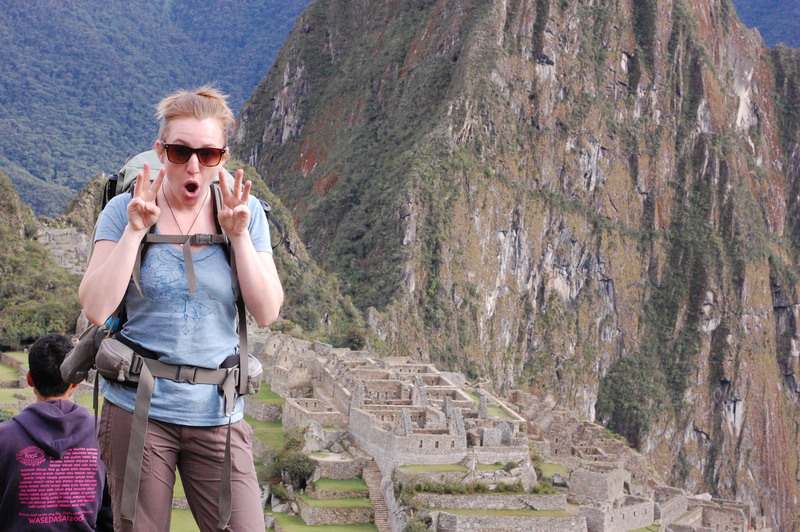 Day 4 – “The Big Day.” Woke up at 3:50am to hike the 2 hours to the Sun Gate above Machu Picchu. Spent the day exploring the 7th wonder of the world before heading to Aguas Calientes for much deserved beers and a long train/bus ride home. Overall Recap: ABSOLUTELY AMAZING. DO IT DO IT DO IT. I always wanted to go to Machu Picchu! I didn’t know you went there! so cool!